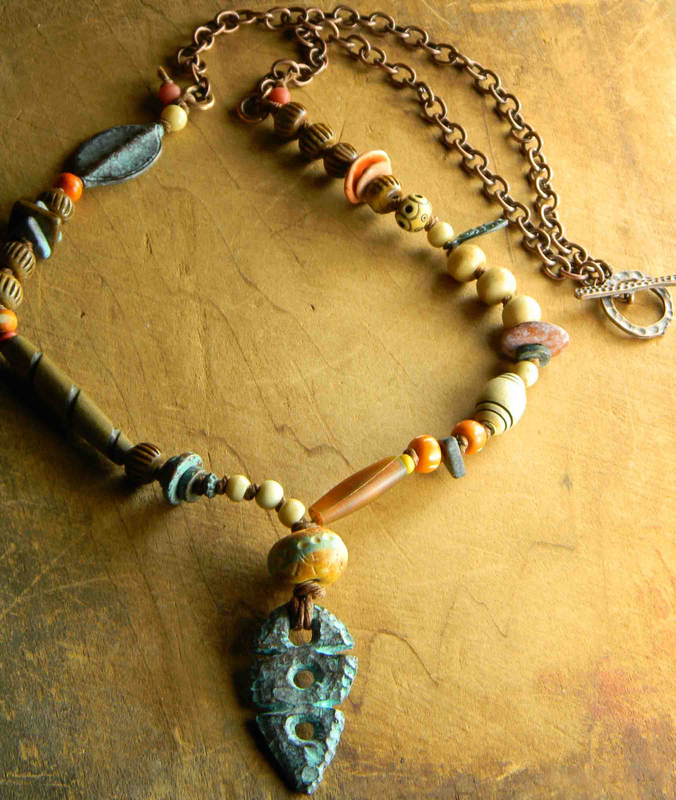 A primitive arrowhead pendant involks visions of the rugged southwest, and the native people about who's culture we are still learning. 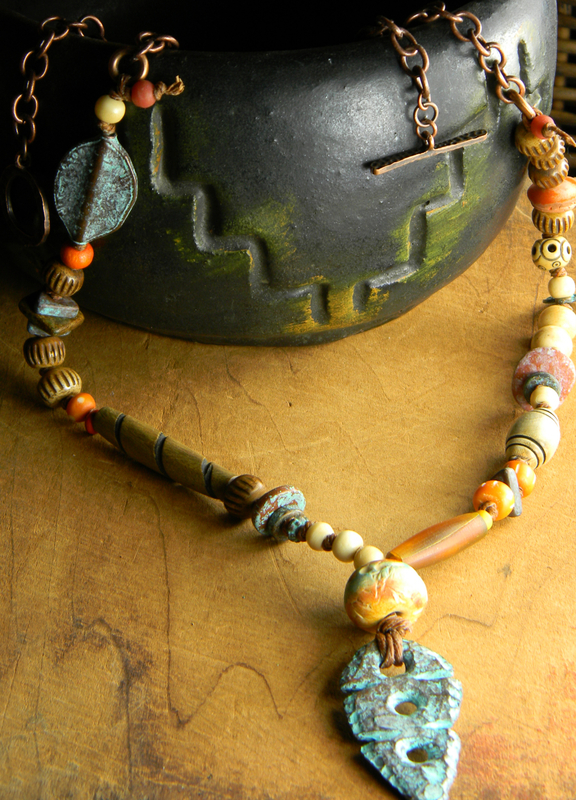 This Mykonos patina pendant calls for a knotted arrangement, starting with one of my own rustic polymer clay barrel beads. 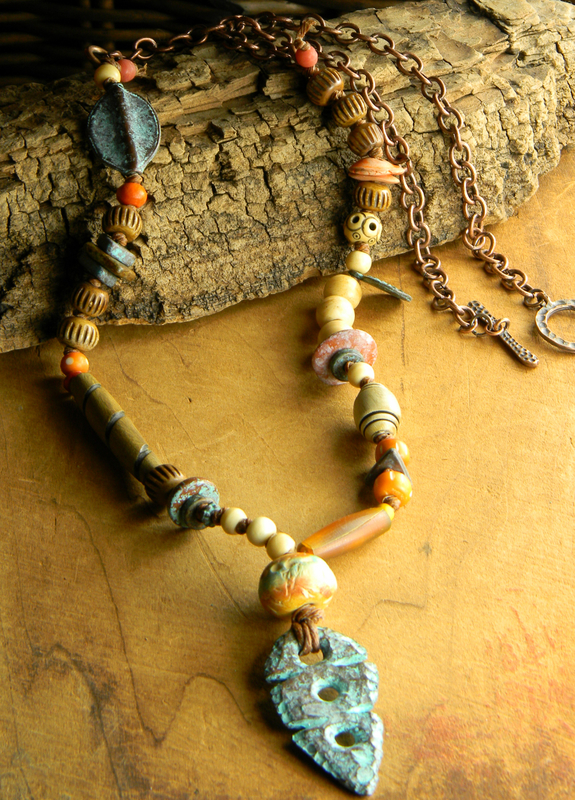 I have added a number of bone and horn beads, other Mykonos ceramic and cast metal beads to the mix, keeping the color palette to natural tones, with accents of orange and turquoise blue, all knotted onto durable waxed Irish linen cord. 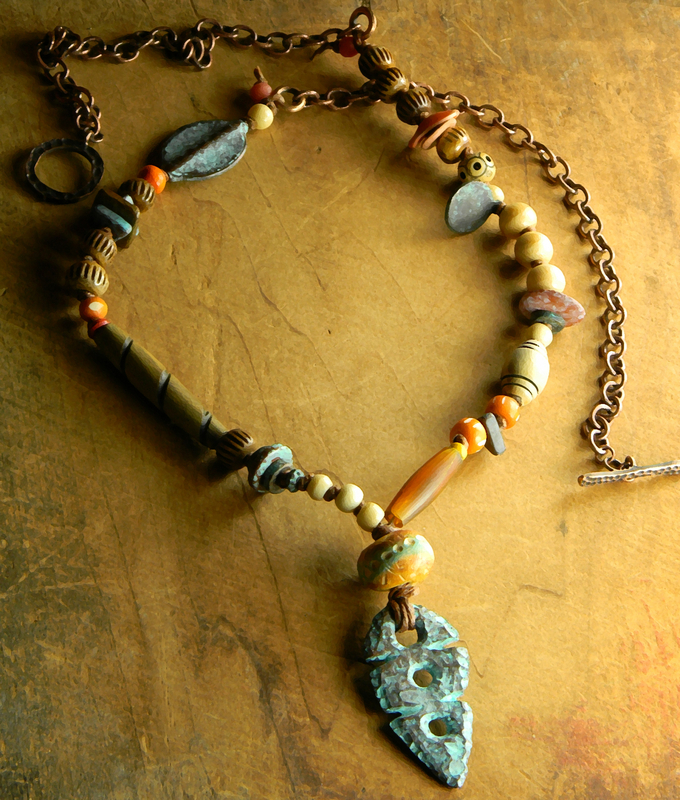 This is a long necklace with antiqued copper and a toggle clasp on the back portion. 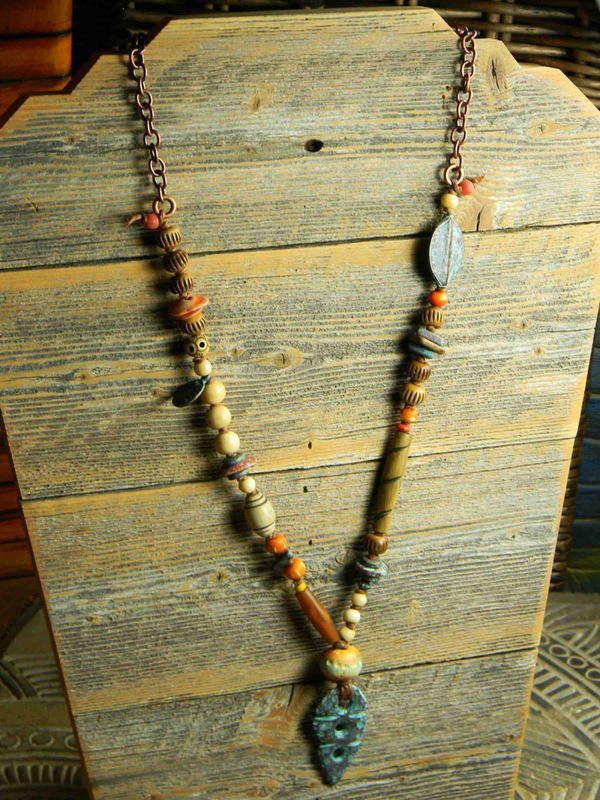 The length is 28 inches, plus a pendant drop is 2.5 inches.